As the recipient of numerous publicists’ pitches on the benefits of an alkaline diet, risks of high acid in your system and how to achieve a PH-balanced system, I thought about all the people wasting money on products making claims that may or may not be sufficiently scientifically substantiated. And it made me wonder about drinking vinegar since I’ve been following a steady regimen of consuming a morning glass of water with apple cider vinegar for quite some time to boost my metabolism and – supposedly- balance my PH. 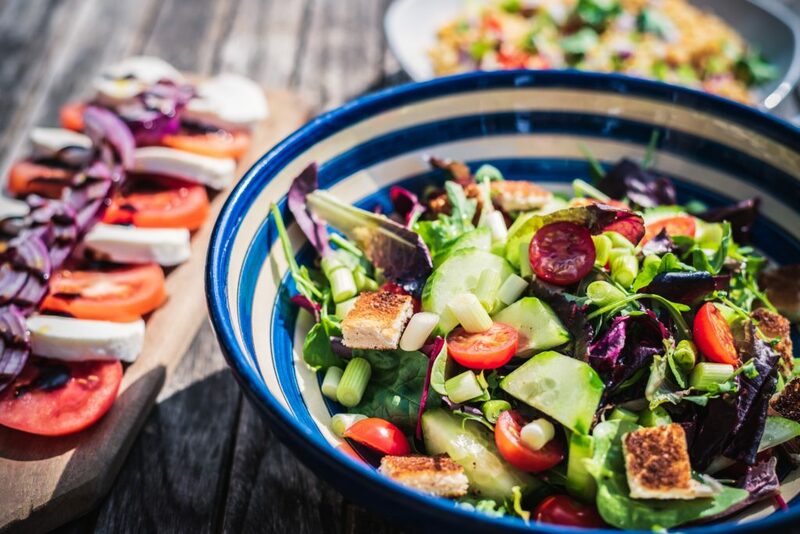 However, one of my radio show guests, Dr. Shilpa Ravella, a gastroenterologist at Columbia University Medical Center, told me the body naturally balances its PH and doesn’t need any help. So what’s PHact from PHiction? 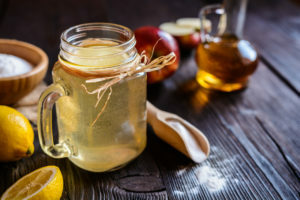 Many vouch for drinking a morning glass of water laced with apple cider vinegar to boost your metabolism and hydrate your system, aid digestion and help with acid reflux, improve your skin and blood circulation, help you absorb nutrients better and help you manage/lose weight. The cancer reduction theory arises because some scientific theories report cancer cells thrive in an acidic environment. However, this does not mean you need to start drinking more glasses of vinegar water. Like everything else you ingest, you can overdo it. There are also negative side effects from drinking too much vinegar due to its main compound, acetic acid. These include hoarseness in the throat, dental erosion and weakened tooth enamel, lower potassium and inflammation of the esophagus and stomach lining. For Type 2 diabetics, a significant drop in blood sugar level could trigger hypoglycemia and seizures. And anyone taking prescription medicines should discuss drinking vinegar on a regular basis with their physician and nutrition specialist. I like drinking vinegar every morning because sometimes the taste of water is just boring, and I prefer tangy over sweet. I also pour a little drinking vinegar- or balsamic vinegar- in my morning cup of plain Greek yogurt as a non-sugary flavoring. As a drinking beverage, it is a far better option than sugary sodas, and I have found a few flavored drinking vinegars on the market that I really like. They have become popular on the cocktail circuit as mixers. I haven’t seen any improvement in my skin, weight or well-being. However, I have been experiencing chronic hoarseness and throat gurgle since my recent bout of laryngitis in February. This is making me start to wonder if I am consuming too much vinegar coupled with the amount of wine I taste for a living. I am checking with my medical practitioner and managing my own consumption in the meantime to see what happens. So, is drinking apple cider vinegar water- other forms of drinking of drinking vinegar “good for you?” As with anything, consume in moderation and weigh all health claims carefully. Some can be PHony sales pitches. And if in doubt, just stick with using vinegar in your salad dressing instead.